One must understand that art is a gift. The artistic eye has been trained to see what the average person can’t. An artist pays attention to detail, they walk to their own tune. They live by a different code. They are pretty much Untitled. Meet Tevin Baskerville; a photographer, graphic designer, fashion designer, and most importantly, an artist. Born in Boston, MA on February 15, 1990, Tevin has always been one to defy the laws of what average is meant to be. He was always just a little smaller than the other people his age but he never let that stop his personality from shining through. Tevin has always had an eye for the arts. He started in the theatre at the age of 5 and continued to progress from there. Throughout elementary, middle, and highschool, Tevin participated in numerous plays which showcase his talent when it came to performing in front of an audience. He graduated with a degree in Graphic Design, concentrating in photography. His love for photography is what made him get more into the arts and fashion. Photography is his first love, his close friends can tell you that. Throughout his life, he was never able to find his own particular style when it came to style of dress. He tried almost everything, from the preppy look, to urban, to even a little goth. Nothing really fit him and it wasn’t until 2016 that he found his love for fashion. He created his own poncho with out of houndstooth fabric. Looking back, he would tell you it’s probably the worst thing he ever made in his life but he wore it like it was an Alexander McQueen garment. 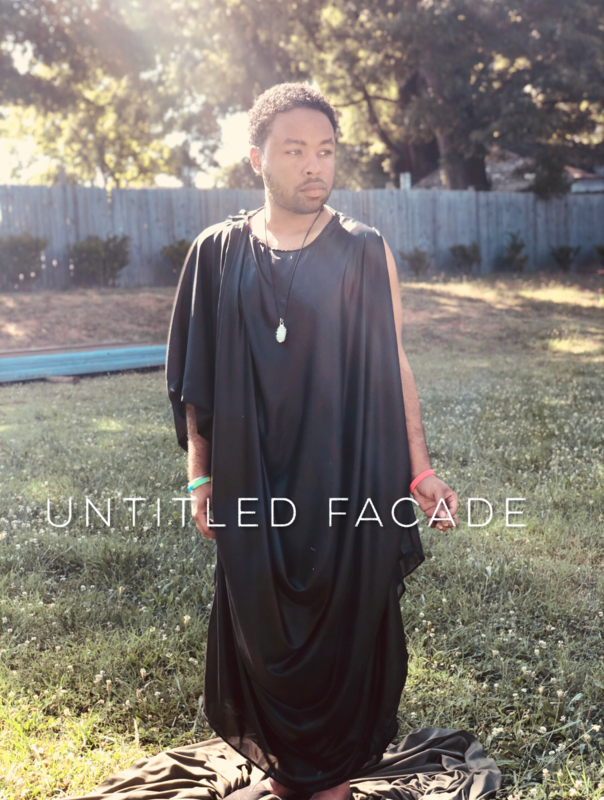 Once he started seeing the positive reviews on his poncho, he realized that he needed to start creating things for himself that others wouldn’t be able to find anywhere else; bring in Untitled Façade. Tevin currently resides in Charlotte, NC and has a team full of talent devoted to building their brand together. His business partner and friend, Deonte Wilbourn, has pushed him to explore his various gifts in fashion as they have already had two ventures together. He’s even helped design pieces and was the integral component to Untitled Façade’s first fashion show and ICON collection. Everyday he is thankful to have the people in his life who push him.